While you can’t avoid every accident, there are steps you can take to minimize the risks of everyday tasks. According to the Centers for Disease Control, most events resulting in injury, death or disability are predictable and therefore preventable. Often taking personal responsibility for your actions and learning to be safe in your chosen sport or activity will make you more aware of the dangers you face. Distracted driving is driving while doing another activity that takes your attention away from driving. There are three main types of distraction: visual—taking your eyes off the road; manual—taking your hands off the wheel, and cognitive—taking your mind off what you’re doing. 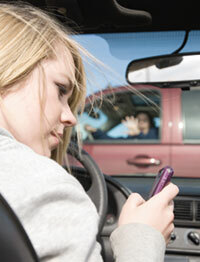 Texting while driving combines all three of the above distractions, making it an especially dangerous activity. Distracted driving also includes using a cell phone, eating, drinking and talking with passengers. Adjusting your vehicle’s sound system or navigation system is also a distraction. If you understand that these activities can lead to injury, you are more likely to avoid them. In the time it takes you to read this article, one pedestrian will be injured in a traffic accident. Walking may be good for your health, but walking near traffic makes you 1.5 times more likely to be killed in a car crash than the occupants of the vehicle. Be especially careful at intersections, where drivers may fail to yield the right-of-way to pedestrians while turning on to another street. Wear reflective clothes and carry a flashlight to increase your visibility at night. If you cannot walk on a sidewalk, walk facing traffic. Pay attention to curbs. Tripping on a curb and falling into traffic was the major cause of non-fatal pedestrian injuries in people age 65 and older. Look left, right and left again before crossing a street. 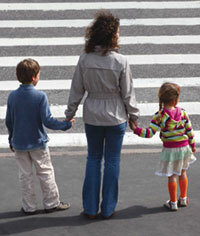 Never allow children under age 10 to cross streets alone. Every day, about 10 people die from unintentional drowning, according to the Centers for Disease Control. Drowning is the sixth leading cause of unintentional injury death for people of all ages and 80 percent of those deaths are male. Learn to swim. It’s the most important thing you can do to stay safe around water. Set water safety rules for the entire family based on swimming skills. Stop swimming at the first sign of bad weather. Enter the water feet first unless the area is clearly marked for diving. 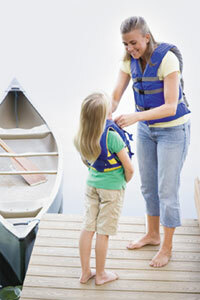 Children or inexperienced swimmers should always wear a U.S. Coast Guard-approved personal flotation device. Learn to recognize and respond to emergencies. Be aware of the water environment you are in. Rivers running high and fast or ocean currents and tides can be dangerous even for the most experienced swimmer. Each year, more than half a million people are treated in emergency departments for bicycle-related injuries. About 60 percent of those injuries are children under the age of 15. Make sure your bicycle is in good working order and fits your size and weight. When riding on roadways, ride in the same direction as traffic, not facing the traffic. Follow the same rules of the road as car drivers, including stopping at stop signs. Don’t ride on sidewalks, especially when pedestrians are present. If you ride in the dark, be sure to have lights and reflectors and wear light-colored protective clothing. A Bike Rodeo is planned for the Oct. 8 Vacaville Kid Fest. Co-sponsored by the NorthBay Bike to Work Committee, the Solano Transportation Authority and the Monticello Cycling Club, the event will feature bike safety instruction, helmet safety fitting and bike safety inspections. Kids should bring their bike and helmet. Older adults and children are more vulnerable to sustaining injury requiring medical attention, but for Americans ages 1 to 44, injuries are the leading cause of death.